Like most people at Christmas I ended up over ordering on cheese and was left with a block of lovely Stilton. 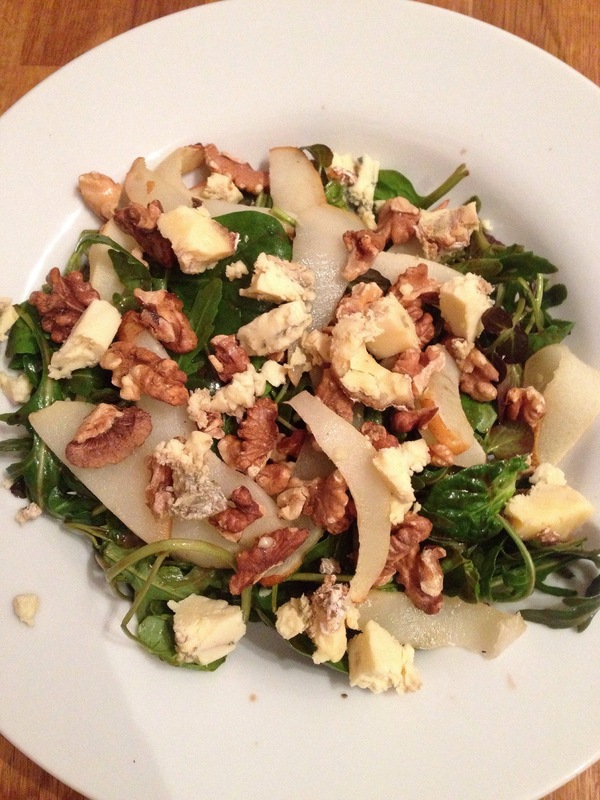 This is a great winter salad which works well as a starter or light supper and helps use up left over blue cheese. 1)Heat oven to 200c and place pear slices and walnuts on baking tray and cook for five minutes before removing. 2)Mix dressing ingredients by shaking together in an empty jam jar. 4)Place dressed leaves in serving bowl and scatter over pear and walnut pieces.